This one is a bit of a wonky house, leans to one side, and has moss growing round about the eaves. Its name is Hobspot, and a misanthrope fairy lives there. He doesn’t care much about home repair, and would just as soon let it return to the earth from which it came. 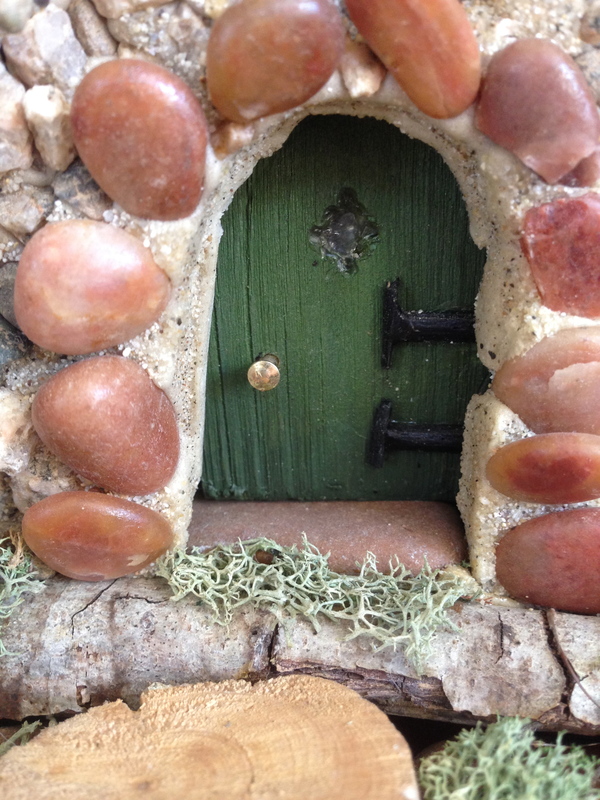 But if you have a spot that is crying out for a fairy house, perhaps on a bookshelf or amongst ferns in your garden, you may want to consider caring for this house. According to this curmudgeon, he has been waiting for the last 45 years. (Just how long does it take fairy water to boil, anyway?) He is infinitely patient, curled up beside the hob, humming a tuneless song, and dreaming about that hot cup of tea. While Hobspot lived with me, I placed a cup of hot tea (with lots of sugar) in front of the house on each full moon. He seemed very grateful and never gave me a moment’s mischief. Well…except that one time. After that I never missed a full moon.